The folks at Netflix, as well as the folks at Proctor & Gamble/Gillette (note: Netflix and Gillette are not affiliated with one another, it’s just a coincidence that they both are mentioned in this jam in the same sentence), were kind enough to provide us with some free stuff for me to try and some additional stuff for me to give away to you! Brilliant idea. I hadn’t really thought much about using Netflix before to be honest… not sure why… but when the folks at Netflix contacted me and offered me a trial and this giveaway, I couldn’t resist. I’ve been using Netflix for a couple of weeks now, and I definitely recommend it. In Canada, it is $8 Canadian per month, and for that price, you can watch pretty much any movie that you would normally find in a rental store, and tons of TV shows as well. All on demand, no commercials, from anywhere you can find an internet connection. You can even stream the movies to your TV set if you aren’t keen on watching them on your computer screen. Also, you can stream and watch the movies on your portable media-capable devices, such as an iPhone. You can watch an unlimited number of shows and movies, all for the one, fixed, monthly charge of $8. The video quality is very good, but if you’re Internet connection is too slow (i.e. dial-up) you may get some brief pauses in the flow of the movie while it buffers. This should not be a problem if you have DSL or Cable Internet. I noticed some of the kid’s TV cartoons were a bit pixelated at times, but most were fine, and the movies were excellent. One feature that I really like is that when you log in, you can see what movies you have been watching, and resume watching them where you left off with a single mouse-click. Netflix will also recommend movies for you to watch based on your preferences and other movies you have watched in the past. Netflix is definitely a great alternative to renting movies – and since it costs less than two movie rentals, you only have to watch two movies a month for it to be worth it. Plus, you never have to worry about late fees, going to the rental store, etc. 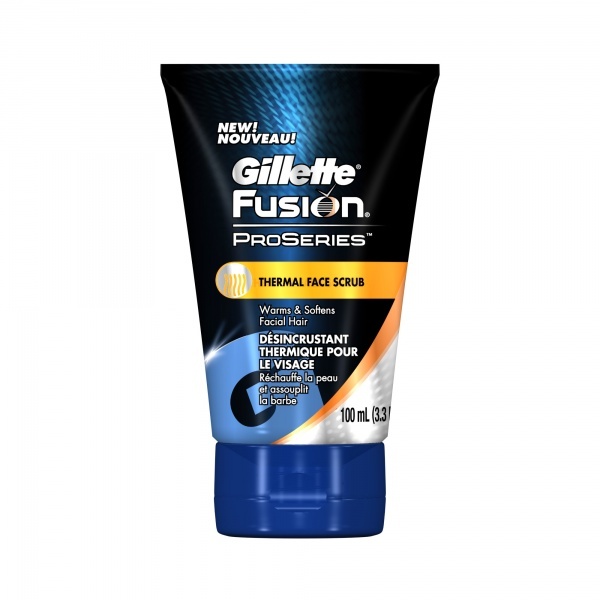 I received a “Gillette Fusion Pro Glide Power Razor” and a tube of “Gillette Fusion Pro Series Thermal Face Scrub” to review. Both are awesome. 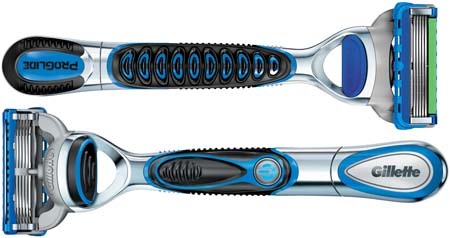 The razor has five blades and glides very smoothly over your skin. 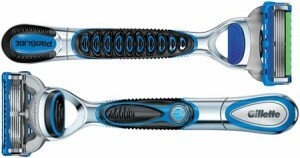 The construction of the razor is awesome too… you really feel like you are holding a solid, quality, product in your hands. The Thermal Face Scrub is very cool (or should I say, “warm”?) … it has microbeads in it, so you really get a good scrub in. It really warms your skin too in preparation for your shave. It smells good too to boot. This Giveaway prize-pack includes a coupon code for six months of Netflix for free (courtesy of Netflix), plus, one free “Gillette Fusion Pro Glide Power Razor” and a a free tube of “Gillette Fusion Pro Series Thermal Face Scrub” (courtesy of Gillette/Proctor & Gamble). If you’re a dad, win it all as a Father’s Day gift for yourself. If you’re a mom, win it and give it to your husband as a Father’s Day gift! Leave a comment here if you like – if not I will still see the Twitter post and follow, so it is okay if you forget to leave a comment. Then leave a comment here with your Facebook name and a link to your Facebook post, as I will not be able to track all Facebook entries myself. If you want to enter twice, you can enter once via Twitter and once via Facebook. You must enter before midnight Eastern Time the night of Monday June 13th. The winner will be chosen at random by randompicker.com and announced on Tuesday June 14th. If you win, we will contact you by email at the email address you entered in our comment form when you entered the contest, so please ensure you enter a valid email address when commenting. If you win, you must respond to our email within 24 hours and provide a mailing address where we can mail the prizes. We will ship the prizes as soon as possible after hearing from you, but cannot guarantee that they will arrive before Father’s Day. You will receive the Netflix coupon code by email the week before Father’s Day. *Please note* this contest is only open to residents of Canada. You must have a mailing address in Canada in order to win. Thank you for taking the time to enter, and good luck! My husband will love that! And I haven’t gotten him a gift so pick me! Since you’re on the subject of razors and blades BC IMHO has a product that we received that keeps your razor blades sharper for 5 times as long. If you would like to review it (it’s pretty cool I tried it) let me know and I’ll send you one. The key is to have an honest voice and keep to your style of blogging Happy Father’s Day! Good stuff happy fathers day!